Bronze Age is a jewellery store in Janpath that is perfect for those who like to collect unique pieces of ethnic jewellery. The collection at this store is beautiful and extensive, ranging from dainty and delicate pieces to chunky and heavy ones. When you walk into the store, you’ll see their entire collection meticulously arranged as per their colour. Their basic earrings (92.5 percent purity silver) start from INR 350 and go up to INR 10,000. However, the gold plated ones are priced a bit higher, naturally. They are priced from INR 3,500 to INR 13,000. We have our hearts set on the glass-work earrings in intricate designs. The dainty rings start at INR 600 and the most expensive rings in their collection go up to INR 7,000. The big turquoise stone detail ones are too pretty. 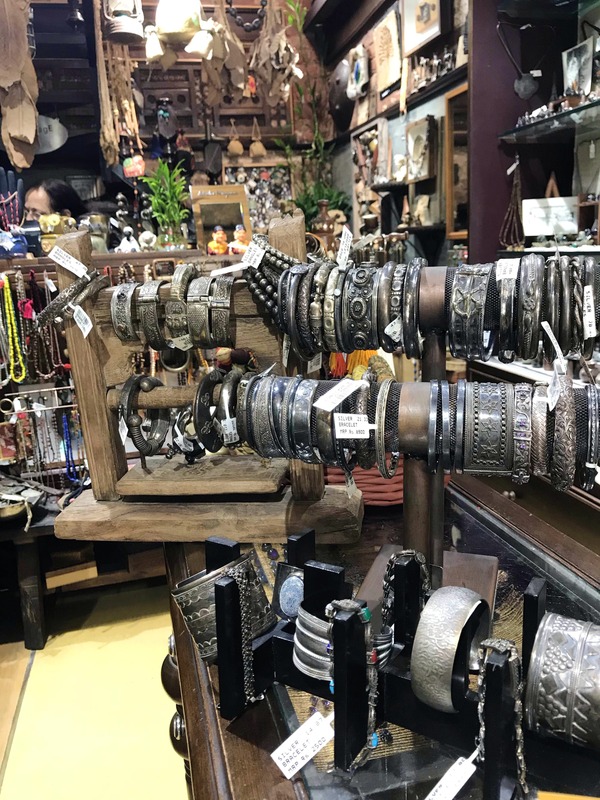 They also have a beautiful collection of statement accessories such as necklaces, bangles, and cuffs, that are perfect for those who love wearing bulky accessories with their outfits. Apart from that, they have cute little knick-knacks like handmade keychains, hair-ties, hair clips, and coasters. They also have a collection of vintage coins that you can purchase. They have a great collection of big and chunky rings, however their smaller and dainty rings aren’t as many. We’d love it if they add more pieces to their beautiful collection.